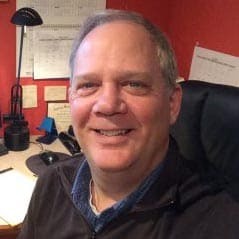 GoNOMAD Editor Max Hartshorne joined a historic delegation of journalists and tour operators in November 2008 when the Islamic Republic issued their first diplomatic visas to Americans in 30 years, allowing the group to come and meet many Iranian Tour operators and tourism officials. 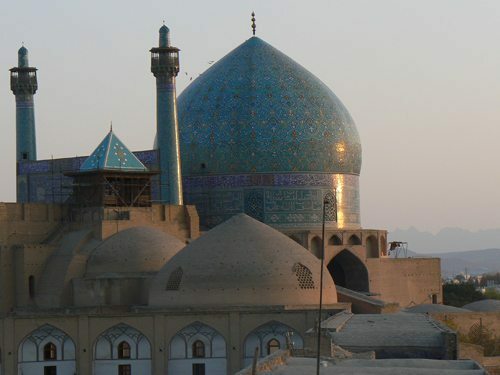 These photos were taken during the excursions to Shiraz and Esfahan, and later in Tehran. 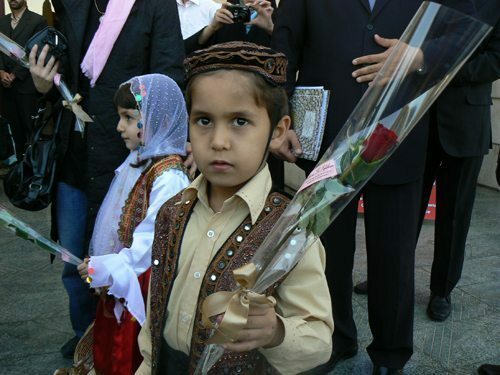 Boy in Shiraz, Iran. Photos by Max Hartshorne. 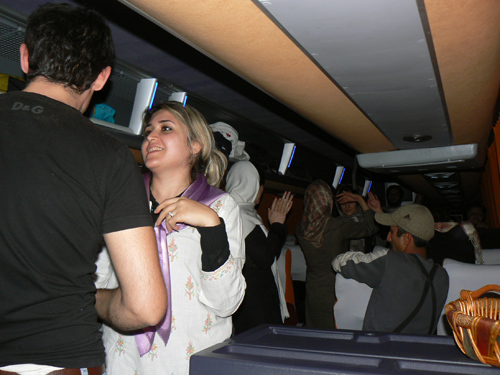 Iranian girls in Shiraz, showing how relaxed the rules can get about headscarves and dress. 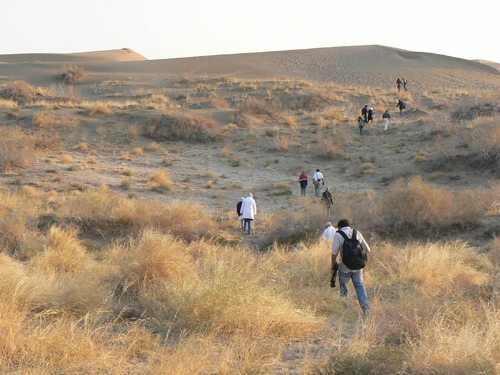 Hiking in the vast central desert in the middle of Iran. 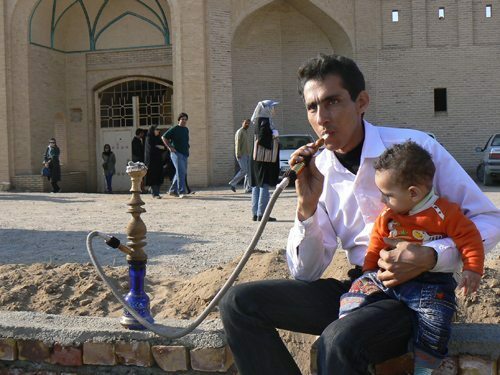 Enjoying a hookah at a desert carvansary, once part of the silk road. 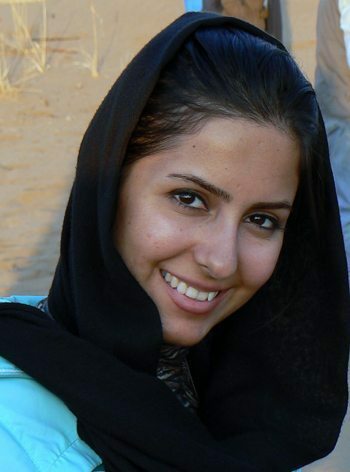 The faces of Iran....women are quick to return your glance, and are proud of their Persian heritage. 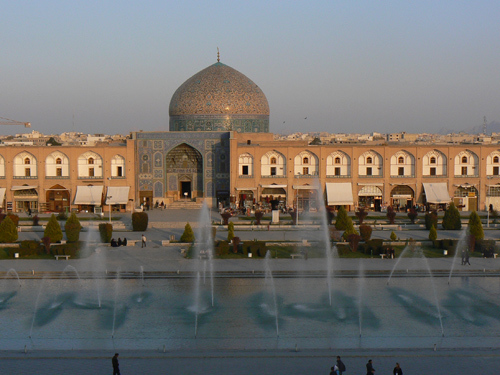 The mosque in Esfahan, one of the most dramatic buildings and largest squares in the world. Dancing on the bus...closing up the curtains and dancing with joy. Photos by Max Hartshorne. 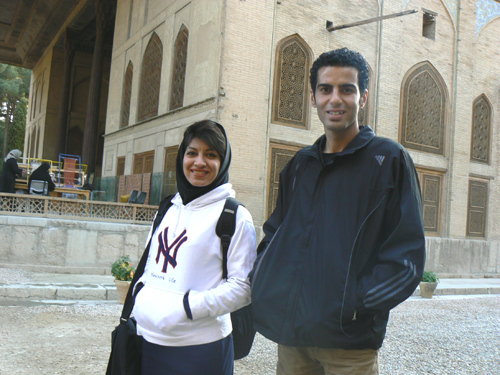 A happy couple next to the Palace of Forty Columns in Esfahan. Picnicking is an Iranian tradition...here a family sets out their food right next to a highway toll plaza outside of Tehran. 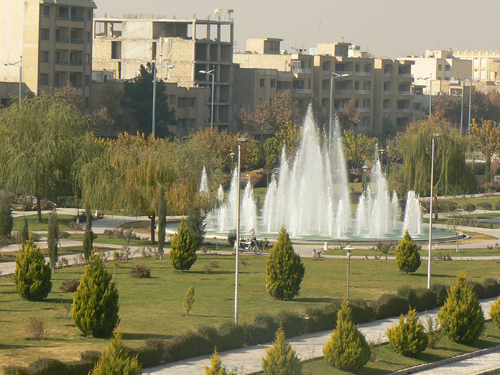 Street scene in Shiraz...all over Iran you see fountains and monuments. It's very beautiful. 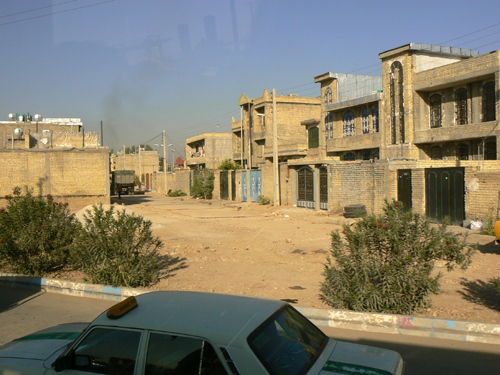 Street scene in Shiraz, Iran. Men waiting in line for porridge on a Shiraz street. 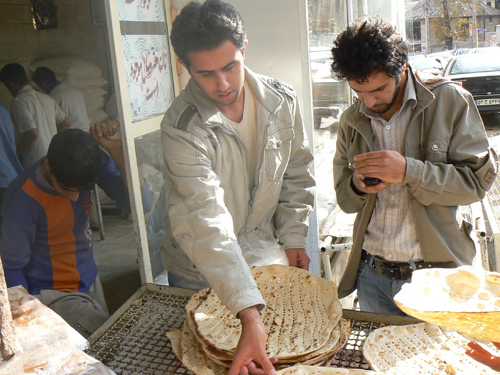 Bread vendor in Tehran. Bread like this is cooked on the sides of a hot oven and costs about 60 cents a loaf.